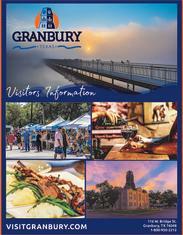 Restore yourself in Granbury, Texas. A small town rich in unique culture, deep Texas history and southern hospitality. Experience entertainment and adventure on the downtown Historic Granbury Square, Lake Granbury, and everything in between. Make Granbury your getaway soon.